Lenovo has launched for the first time in Romania five smartphone models, which marks the Chinese company’s penetration on the European Union smartphone market, via Romania. According to company officials, the latest trends show that consumers prefer mid-size models that are easy to use but large enough to allow a good multimedia experience, while high-quality photo cameras are a must. The entire smartphone range of Lenovo counts approximately 25 to 30 models. 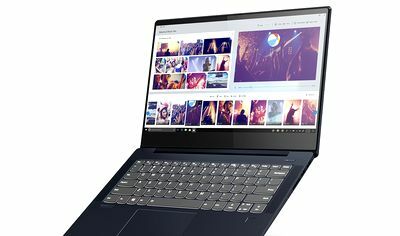 The selection of models that Lenovo has launched on the Romanian market includes the S860, S850, A859, A536 and A328, which target diverse users. By the end of the current fiscal year, Lenovo aims to sell approximately 100,000 smartphone units in Romania. Initially, the smartphones will be available in the networks of retailers eMag and Flanco. The first mobile operator that will include the Lenovo smartphones in its offer is Digi Mobil. “We are targeting a 5 percent slice of the market within the first six months, but we wish to reach a double digit market share within a year,” said company officials during a press conference. “In Romania, we are the leader in the PC category, with 24 percent market share. We wish to capitalize on the strength of the brand as far as the entrance in the smartphone category is concerned. Worldwide, we are number 3 in the smartphone business, after Samsung and Apple, according to IDC,” said Aymar de Lencquesaing, EMEA president. 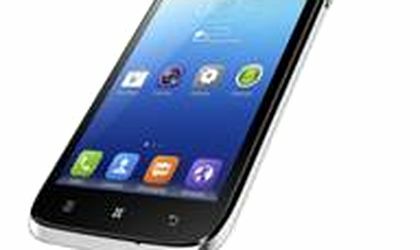 On the Romanian tablet market, Lenovo has a 5.5 percent share. “The Romanian tablet market is very different because at the top of the chain there is Samsung followed by other 3 or 4 names that I don’t know,” said de Lencquesaing. “Romania is one of our better markets in the EMEA region in terms of success, penetration and market share,” he concluded. In the fiscal quarter April-June 2014, Lenovo sold 15.8 million smartphones, up 39 percent compared to the similar period in the previous year.